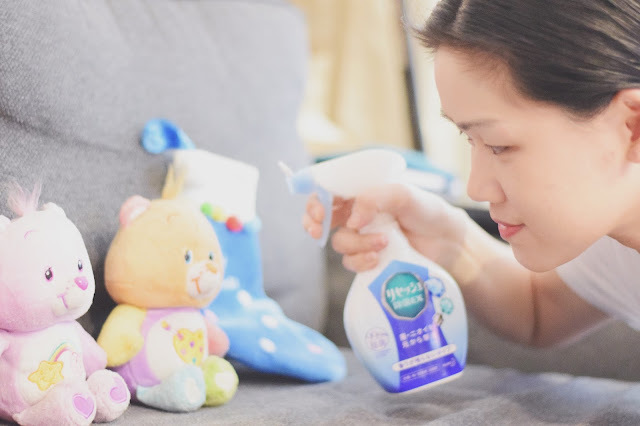 Do you ever face difficulties trying to clean sofa surfaces , curtains, mattresses and perhaps even your children's toys? The weather is so unpredictable and each time you wash, you got to sun them and wait for them to dry. This is so time consuming. I am sure such a scenario is not uncommon in the everyday household. For the busy woman out there kudos for all your hard work, but don't you often wish that there is a product which can help you in solving all these problems? The place which you seek the most comfort and enjoyment from is often the same place where bacteria constantly grow and thrive. Scary thought I know but ask yourself when was the last time you cleaned it? You change your mattress cover but what about the mattress beneath it? Your pillow, the sofa in your living room which had been there since day one which you had moved into the house. I now can have nice smelling and clean pillow and I can sleep peacefully and with ease. 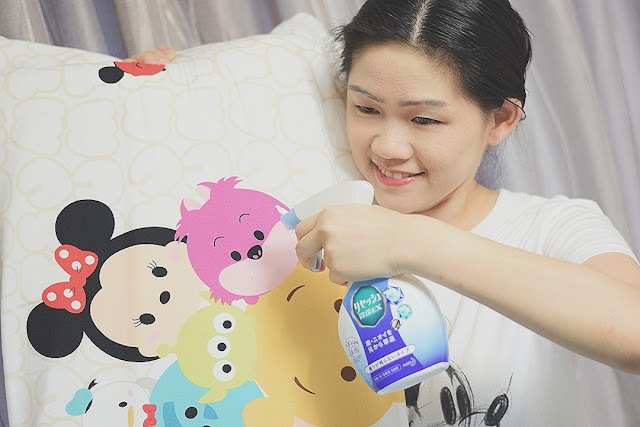 The Magiclean Fabric Freshener (developed by Japan advance R&D) , provides you with a peace of mind with even the hardest to wash fabrics and materials as it has a strong penetrative power. You can maintain the hygiene of these items and use them as frequently as you want. I love the ergonomically design, easy to grip bottle which makes spraying the product a breeze. The scent fills up my living room making my home smell so clean, fresh and welcoming. Its great for emergency times when you have a guest coming last minute, or your Mother in law decides to pop by to give you a surprise. Give your living space a refreshing scent boost too, especially if you keep pets at home like me. The scent does removes the doggy scent which my dog and my customers leave after they linger around in our living area and yes, the fabric freshener can kill the bacteria which they leave around too. I somehow wish I can spray on my dog but no, don't worry, no animals were harmed during this product trial, you can be rest assured. 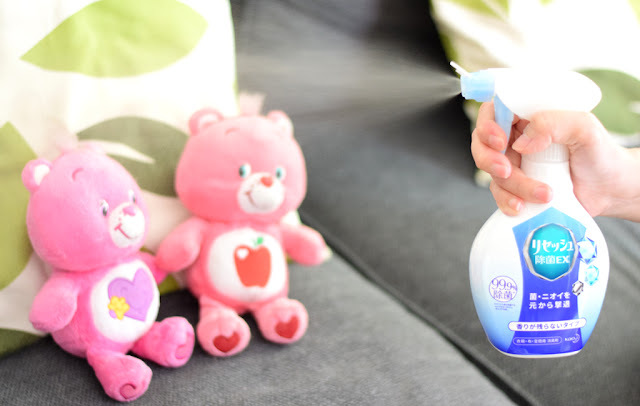 With its unique trigger technology from Japan, this made in Japan product dispenses a micro-mist spray for wider and more even coverage. The strong penetrative power of the formulation can penetrate into the deep layers of the fabric, working inside to kill 99.9% bacteria. Look at how fine the mist are and how wide and dispersed the freshener spreads. It is also formulated with natural deodorizing extracts to neutralize odor and prevent it from returning for up to 24 hours. 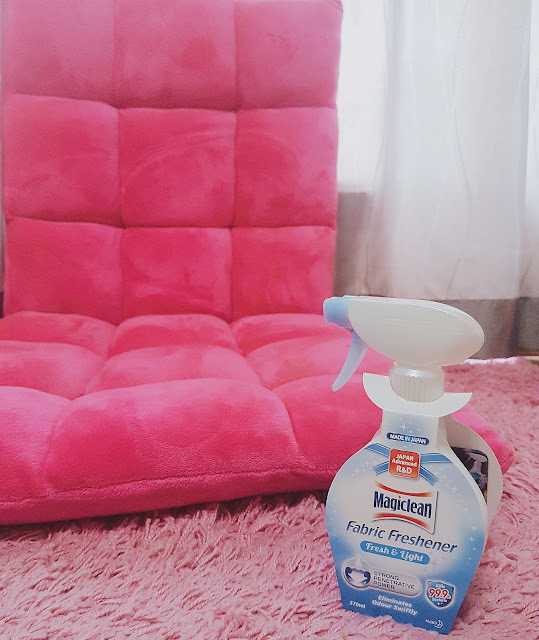 Besides hard-to-wash fabric items, Magiclean Fabric Freshener is also suitable for applying on clothing to prevent musty smell, or to get rid of food or cigarette smell. Moreover, it can be used in the air to freshen up the atmosphere of the house. You can also use it on carpet surfaces, toys and even fabric shoes. Bonus Tip: You can even leave it in your office and spray it on your office chairs or use it to freshen your clothes after a Teppanyaki Lunch! How about leaving it in the car to freshen your passenger's ride? I think Uber and Grab drivers can make use of this product to make their passenger's ride more pleasant and enjoyable too. Plus it eliminates unpleasant ordor and harmful germs, so why not? 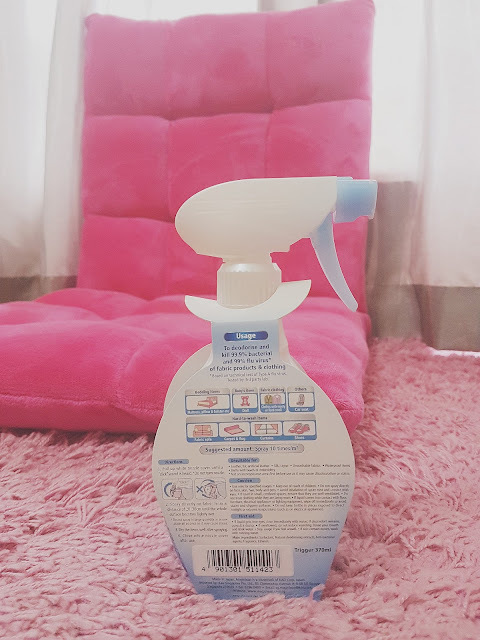 With its strong penetrative cleansing power of the highest quality, you can now be assured that you, your family members and even your furkid is sitting around in a clean environment. Sleeping on clean pillows, mattresses. Your family can enjoy quality time in a safe and hygienic environment at home. 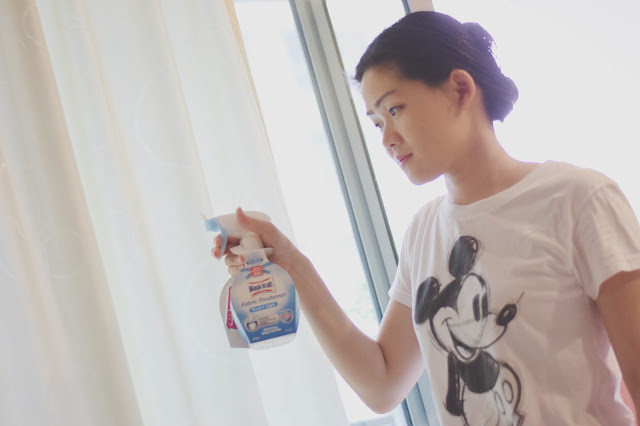 Go now, get rid of bacteria and odour from the inside out! 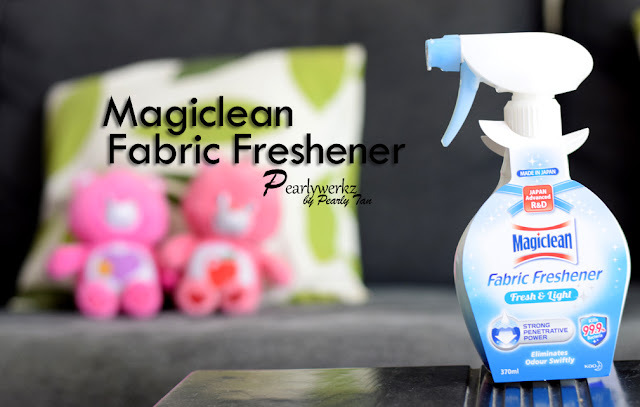 The Magiclean Fabric Freshener is available in 3 fragrances, the Fresh and Light Scent (featured here), Refreshing Mint and Pure Blossom. They can be found at all leading supermarkets/hypermarkets, mini markets and provision shops, retailing at $4.95 for a 370ml trigger bottle. I can't wait to try out the other scents after I am done with this bottle. Have anyone had any chance of trying the other scent yet? Share with me which is your favourite scent and what do you use it for in the comments section below! It would be lovely to hear your thoughts. This product review is a collaboration effort between Samplestore, Kao Magiclean and Pearlywerkz. Review is honest and based on personal experience. All photographs on this site belongs to the property of Pearlywerkz. Do ask for permission if you wish to utilize them. 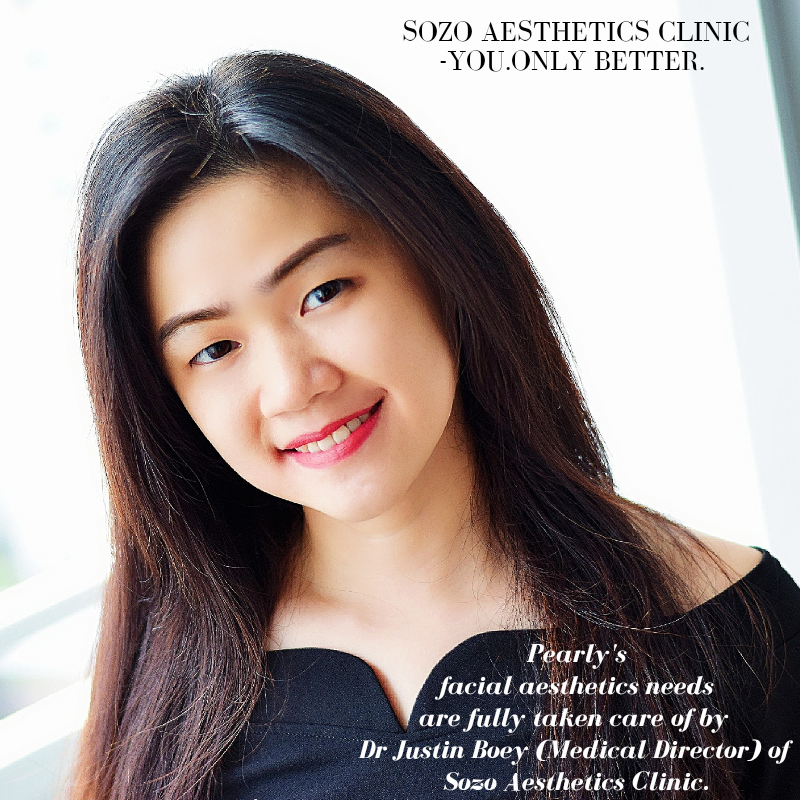 Review is 100% honest and based on personal experience. 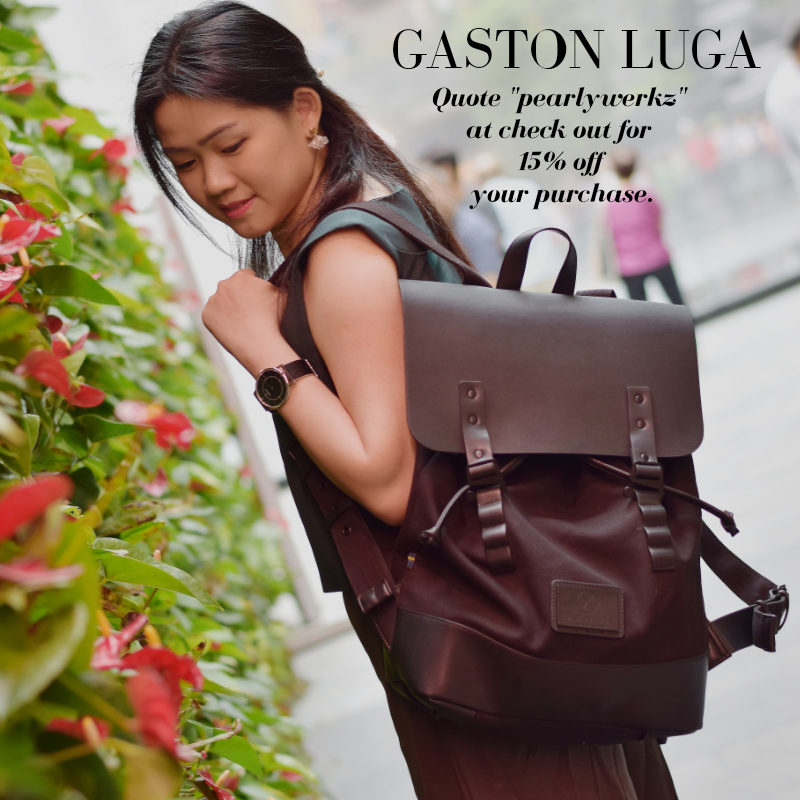 Get 15% off your purchase by quoting "pearlywerkz" during check out at gastonluga.com. 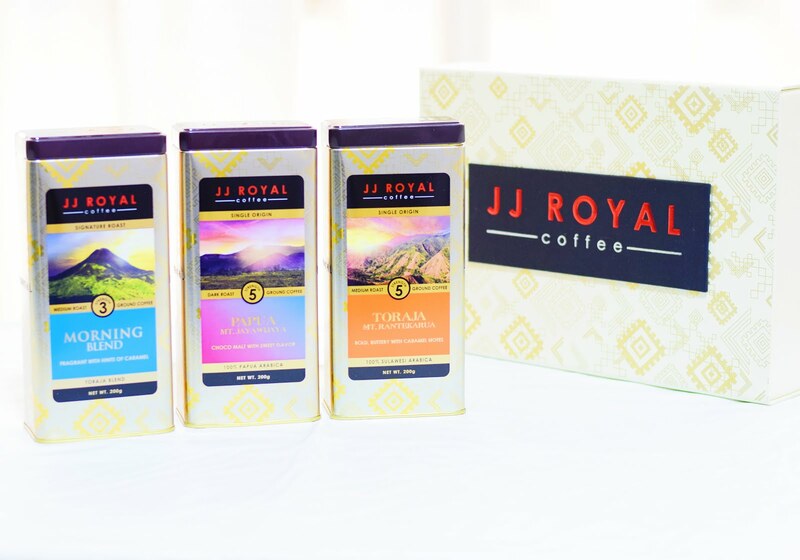 Get $5 off with min $25 spend on coffee products. 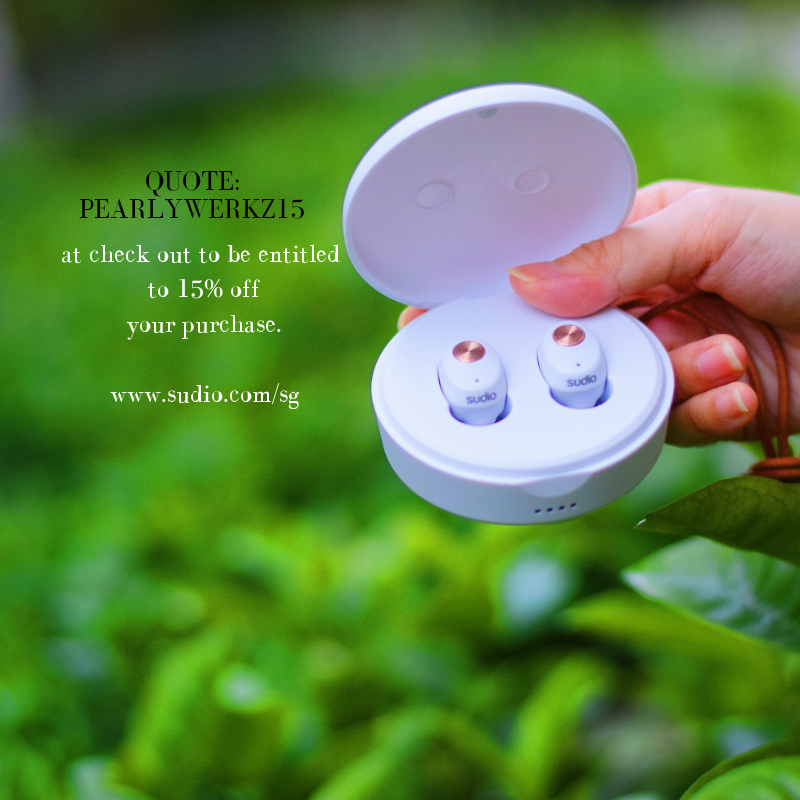 Quote "Pearlywerkz" during check out. Quote "Pearlywerkz" for 10% off at www.vybeautystore.com. Use code April05 for 5% off storewide. Quote "pearlywerkz15" for 15% off your online purchase. 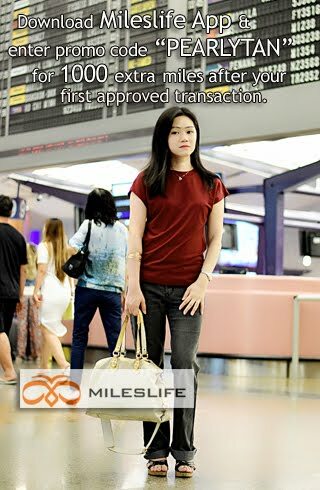 Enter "PEARLYTAN" under promo code to get 1000 extra miles after your first approved transaction. *Min spending of $49 is required.